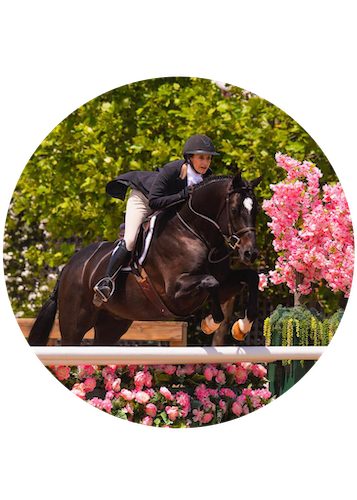 Leg Up empowers the equestrian community by providing expertise, tools, and guidance for better performance both in and out of the show ring. Do you want to reclaim the joy in your rides, both at home and in the show ring? Let's examine your challenges, create a pre-ride ritual to combat your nerves, and strengthen your connection with your horse. Take your performance and your enjoyment of our sport to the next level. Get a Leg Up on owning your ride and your success. Do you want to make educated equine choices for your rider and your family? Learn how to choose the best training program for your needs and budget and feel more engaged with your rider and the process. Understand what judges are looking for and what it takes to be successful. We will develop tools to manage your own show nerves and you'll enjoy smoother communication with your rider and trainer. Let's talk. Darby has been fortunate to work with many riders, trainers, and families. Read what people have shared about their experience.